Well, since you can't beat'em, might as well join in! This is the box of Xmas cards that I very happily found at Winners! Unfortunately, they only had the one box... ah well. 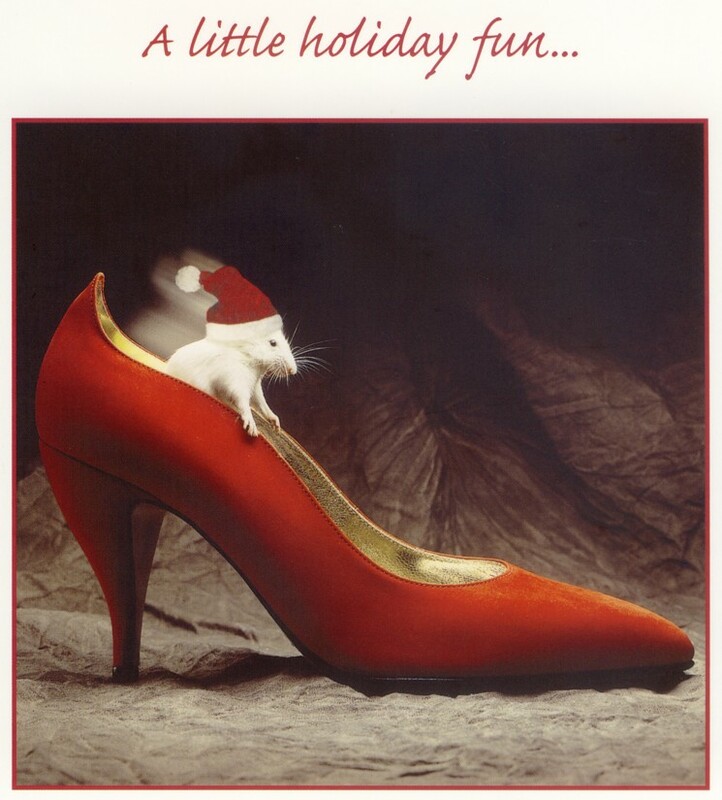 Obviously I was ecstatic to find a Xmas card with a rat/mouse on it! What luck! 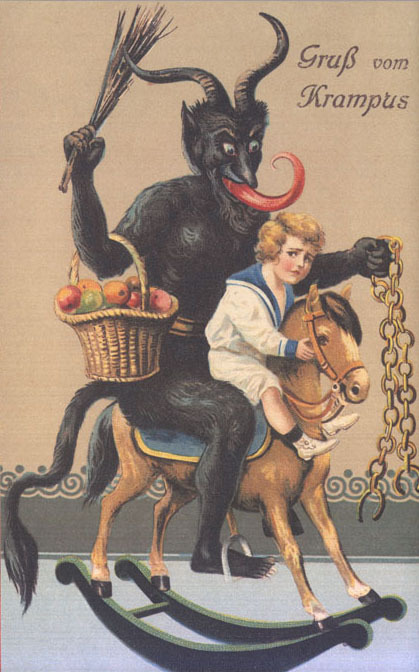 And Xmas became MUCH more enjoyable when my little brother introduced me to Krampus! 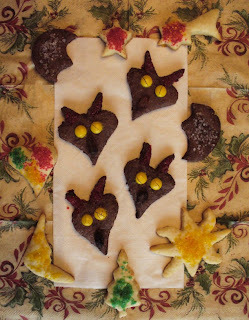 (Read about him at http://www.krampus.com/who-is-krampus.php) We even attempted to make Krampus cookies: chocolate sugar cookies with red sugar glitter horns, yellow mini Smartie eyes and dried cranberry tongues! What fun! We used the heart cookie cutter for the head shape and the long thin moon cutter for the horns, they turned out pretty good, we think!